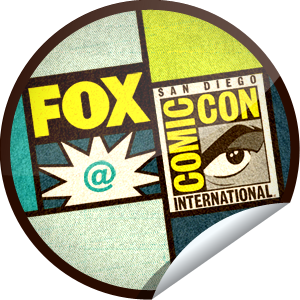 20th Century Fox Comic Con Info! Just as a reminder, remember it’s not about what network a show airs on but who produces it! Here’s a run down of who 20th Century Fox will be bringing to San Diego Comic Con. Hopefully the “Bones” panel will actually happen this year. Again, the info comes from Seat42F! This is just a small sample of who’s attending. Be sure to check out Seat42F for the entire list. BONES: Creator and executive producer Hart Hanson, executive producer Stephen Nathan and stars David Boreanaz and Emily Deschanel will be on hand to discuss the shocking finale of season 7 as well as what’s in store for Booth and Brennan in an exciting season 8. The panel will be followed by a fan Q&A. BOB’S BURGERS: Creator and executive producer Loren Bouchard and executive producer Jim Dauterive and the hilarious cast including H. Jon Benjamin, John Roberts, Dan Mintz, Eugene Mirman and Kristen Schaal, will be on hand to screen never-before-seen footage followed by a panel discussion and fan Q&A. FAMILY GUY: Seth MacFarlane, Alex Bornstein, Mila Kunis (Black Swan, Book of Eli), Seth Green (Robot Chicken) and showrunners Mark Hentemann and Steve Callaghan will have a sneak peek at “Family Guy’s” funniest scenes from the upcoming new season followed by a freakin’ sweet Q&A with the audience. THE SIMPSONS: Now entering its twenty-fourth season, The Simpsons is a living animation legend. Join Moderator David Mirkin, Creator Matt Groening, Executive Producer Al Jean, Supervising Producer Mike Anderson, and the voice of Lisa Simpson, Yeardley Smith, for a lengthy look at the upcoming “Treehouse of Horror”, a sneak (2D) peek at Simpsons theatrical short “The Longest Daycare” and more. SONS OF ANARCHY: Get an inside look into the world of FX’s highest-rated series ever, with creator Kurt Sutter (The Shield) and stars Charlie Hunnam, Katey Sagal, Ron Perlman, Maggie Siff, Kim Coates, Mark Boone Junior, Tommy Flanagan, Theo Rossi, Ryan Hurst and Dayton Callie. As you can see, there will no “Glee” this year. As always, expect Fox to have an amazing booth with signings, SWAG and more! Josh Gates Will Be Attending NYCC! Hasbro Is Bringing The Super Helicarrier To SDCC!